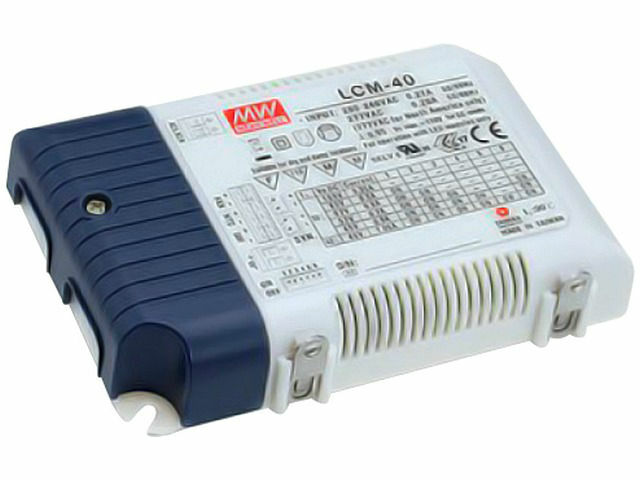 LCM-40 power supply of capacity 42W allows the choice of a DIP switch for one of the six current levels from 350 mA at 2-100 V to 1050 mA at 2-40 V. It has a built-in linear dimming and logarithmic function, controlled at 0-10 V or PWM. Active PFC function and the ability to compensate for external NTC sensor allow to save energy. A similar model, the LCM-40DA, supports DALI interface.